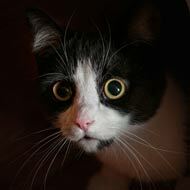 The most targeted animals of air gun attacks are domestic cats. Britain’s biggest animal charity is backing calls for tougher legislation on weapons. The RSPCA says that it received more than 470 calls about such incidents in the first six months of the year, compared to 455 during the same period in 2016. “It is a depressing fact that every year hundreds of victims of air gun attacks are reported to the RSPCA. While wild animals are often victims, the most targeted animal is domestic cats that often suffer fatal or life-changing injuries,” commented Dermot Murphy, assistant director of the RSPCA Inspectorate. In 2016, the RSPCA received 890 calls to its 24-hour cruelty hotline reporting air gun attacks. But the charity expects this to be topped in 2017, with 471 calls received by the RSPCA by the end of June and six months left of the year. “July and August, when the days are longer and people are out and about more, are typically some of the busiest months for RSPCA inspectors investigating incidents of animals shot by people using air gun,” said Dermot. The highest number of the 4,828 air gun incidents reported to the RSPCA between 1 January 2012 and 30 June 2017 were about wild birds (2,003) and cats (1,814). This is followed by wild mammals (349), dogs (345) and farm birds (104). The penalties faced if caught deliberately using an air gun to injure an animal can be up to six months in prison and/or a £20,000 fine if found guilty under the Animal Welfare Act.